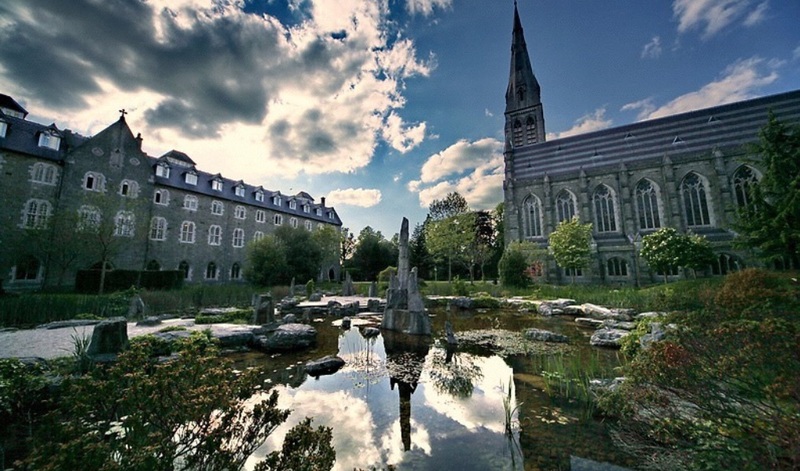 The Spring 2017 General Meeting of the Irish Catholic Bishops’ Conference concluded this afternoon in Columba Centre, Saint Patrick’s College, Maynooth. Bishops prayed for those who died today in the fire at the apartment in the Kilcronan estate in Clondalkin, Dublin, and for those who were injured in the tragedy as well as for the emergency services who responded to the scene. We ask all to support the Commission in every way that they can. We encourage the Government to progress the Adoption (Information and Tracing) Bill 2016 to assist those who are searching for their parents or children. It is also important at parish level that we ensure that burial sites are appropriately marked so that the deceased and their families will be recognised with dignity and never be forgotten. Bishops offered prayers for the repose of the souls of two former members of the Irish Catholic Bishops’ Conference who died since the last meeting. The former Auxiliary Bishop of the Archdiocese of Armagh Gerard Clifford RIP died on 12 December 2016 and the former Archbishop of Dublin and Vice President of the Bishops’ Conference, Cardinal Desmond Connell RIP, died on 21 February last. Bishops expressed their gratitude to Bishop Brendan Leahy, Bishop of Limerick, and Ms Kate Liffey, Director of the National Office for Catechetics, who represented the Bishops’ Conference on 5 March at the Citizens’ Assembly during its discussion on the Eighth Amendment to the Constitution of Ireland. Bishops acknowledged that respect for the sacredness of every human life from the moment of conception to the point of natural death is critical to the right of all citizens to be treated equally and with dignity. Everyone is encouraged to read the bishops’ submission to the Citizens’ Assembly, Two Lives, One Love, which is available on the homepage of www.catholicbishops.ie or in leaflet form in parishes. Bishops discussed preparations for the 9th World Meeting of Families which will take place in Dublin from 21 to 26 August 2018. The World Meeting of Families will consist of the largest gathering of Catholic families in the world, and will celebrate family life and the Church’s commitment to support families. A specially commissioned WMOF2018 promotional video was launched at the Bishops’ Conference meeting which is now available on the homepage of www.catholicbishops.ie. Bishops received an outline of a one-year programme of events and initiatives with families and parishes in preparation for WMOF 2018. The launch of this one-year programme will take place during this year’s national novena at the Marian Shrine in Knock, Co Mayo, to be held from 14 to 22 August 2017. Bishops thanked pupils, schools and families throughout Ireland for their continuous support for the annual Trócaire Lenten campaigns which have transformed the lives of millions of people. 2017 marks the 44th Trócaire Lenten campaign and its theme “humanitarian need across the world” highlights the scale of people living in crisis situations arising from conflict and climate disasters. The family pictured on this year’s Trócaire box is from a village in Honduras that faces regular flooding from storms and rising sea levels. Trócaire’s project in the village keeps people safe by providing for safe evacuation while campaigning for access to safer homes. Bishops expressed deep concern at the worsening hunger crisis facing people in the developing world, in particular across central Africa – Nigeria, South Sudan and Somalia – and in Yemen, and asked for prayers for an end to the terrible conflicts that have left so many people displaced and hungry. Food stocks have been exhausted and famine has already been declared in parts of South Sudan, while a state of national disaster has been declared in Somalia and this has been compounded by drought and conflict. Bishops discussed their Ad Limina Apostolorum visit to Rome in January and expressed their gratitude to the Holy Father, Pope Francis, and to those working in the offices of the Roman Curia, for their fruitful meetings. Bishops also acknowledged the blessing and goodwill offered by Pope Francis to the people of Ireland during their visit, and his strong encouragement to those who live out their faith with conviction notwithstanding the many challenges which exist in our contemporary culture. Bishops invited the faithful to pray Pope Francis’ intention for March: “That persecuted Christians may be supported by the prayers and material help of the whole Church.” Bishops also asked for support for the annual Good Friday collection on 14 April to support people and places of the Holy Land. Bishops encouraged Irish pilgrims visiting the Holy Land to join with local communities for the celebration of Sunday Mass in Jerusalem or in the West Bank. Bishops prayed through the intercession of our national patron, Saint Patrick, for the faith and well-being of Irish people everywhere. The plight of Patrick, himself a migrant, has been faced by many Irish people who have struggled to live and integrate into new cultures. Patrick was called to serve and bring God to a people far from his homeland and became a pioneer in an inhospitable climate. As Saint Patrick’s Day is a Holy Day of Obligation for Catholics in Ireland, the best way to remember our saint is to attend Mass. In support of the “Joy of Bells” initiative by Maria Jansson, the Church of Ireland Dean of Waterford Cathedral, and former President of Ireland Mary McAleese, which will express solidarity and respect for migrants and refugees, bishops encouraged parishes to ring church bells on Sunday 19 March (at 11.00am if possible) so that, in ringing, they proclaim our Christian witness and proclamation of faith, trust, love, reconciliation and joy and that every migrant is welcome! Pope Francis invites us to respond to migration by offering a dignified welcome and by acknowledging that every person is precious; that persons are more important than things and that our worth is measured by the way we treat the life and dignity of human beings, particularly when they are vulnerable like migrants. Bishops urged that the long delays for asylum seekers living in our direct provision system be addressed as it militates against social integration and cohesion. Bishops asked parishes to continue to extend Christian hospitality to migrants and refugees who have settled here in recent times. Mr John Morgan and Ms Teresa Devlin, the chair and CEO of the National Board for Safeguarding Children in the Catholic Church in Ireland, apprised bishops of its ongoing work in the complex areas of information sharing and data protection. As we journey through the season of Lent let us remember “God never tires of forgiving us” – Pope Francis, Evangelii Gaudium (The Joy of the Gospel). The call to renewal in our Christian life is a central part of our preparation for Easter and bishops asked the faithful to offer up their fasting, prayer, reading of Scripture and works of mercy during Lent for the grace of healing and renewal for the Church in Ireland. Continuing last year’s call by Pope Francis during the Jubilee Year of Mercy, dioceses are inviting all Catholics to celebrate in Lent ‘24 Hours for the Lord’ so as to experience the Lord’s loving mercy in the sacrament of reconciliation, and to find opportunities for prayer. Dioceses are providing 24 hours of continuous confession in designated churches. Details will be made available on diocesan websites. Bishops’ encouraged the faithful to read Pope Francis’ message for Lent 2017 on the theme ‘The Word is a gift. Other persons are a gift.’ The message is available with additional online resources on www.catholicbishops.ie. The faithful are also invited to follow this year’s #LiveLent social media initiative which involves short daily suggestions shared on Twitter and Instagram based on the theme of the Holy Father’s Lenten message.